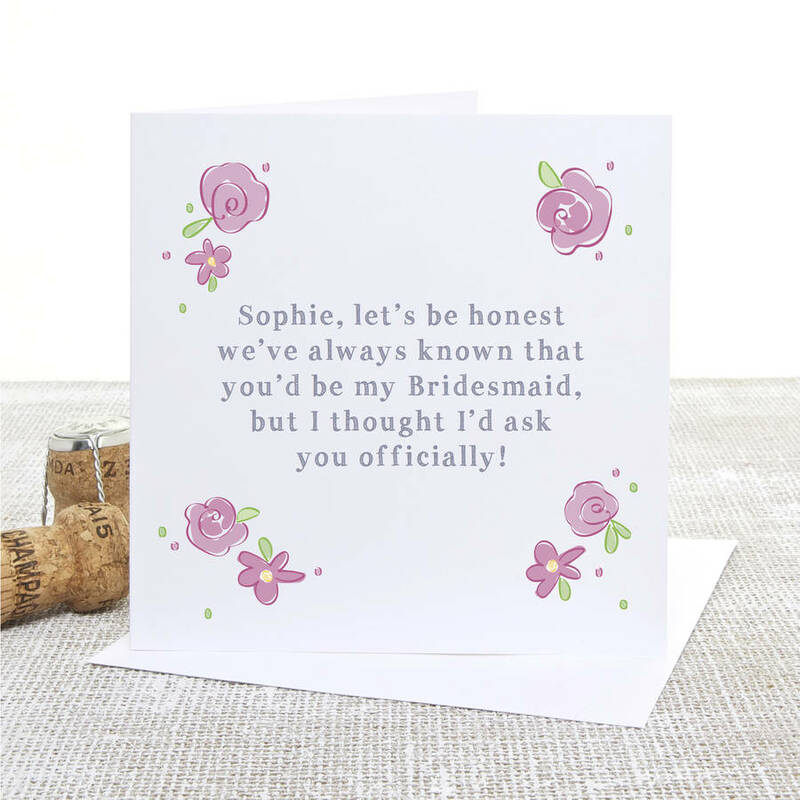 Our 'Will You Be My Bridesmaid' personalised Wedding card is the perfect way to ask your fabulous girls if they'll be your Bridesmaids. We leave our cards blank inside so you can leave a lovely message as a keepsake from your wedding day. This card will be personalised with your Bridesmaid's name, please leave details when ordering. We use matt bright white 300gsm card and supply our cards with a white laid envelope. The card and envelope are packaged in a clear poly bag to keep them safe and clean.